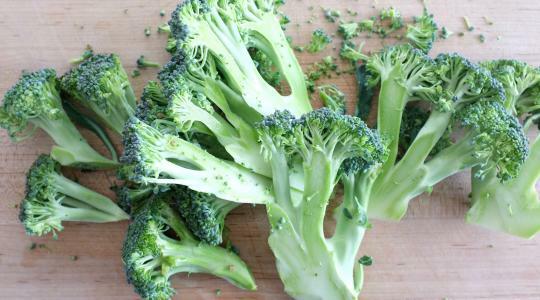 Trim the ends of the broccoli but leave 2 to 3 inches of the stalk attached. Slice the large broccoli head through the flower and down through the stalk into ¼-inch thick slices. Put into a large bowl. Drizzle with the vinegar and oil. Sprinkle with the salt, black pepper, and red pepper flakes. Toss well. 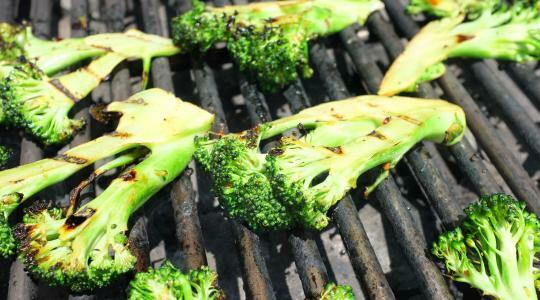 Grill the broccoli 3 to 5 minutes per side, until charred and with a slight bend – a little crunch is okay. 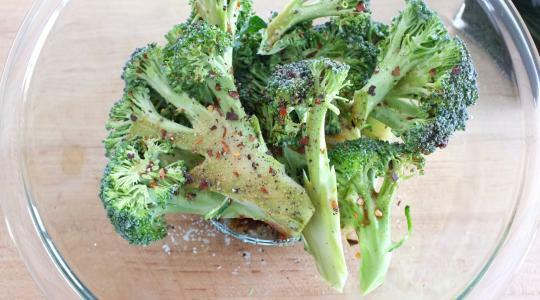 Return the broccoli to the bowl with the leftover vinaigrette. 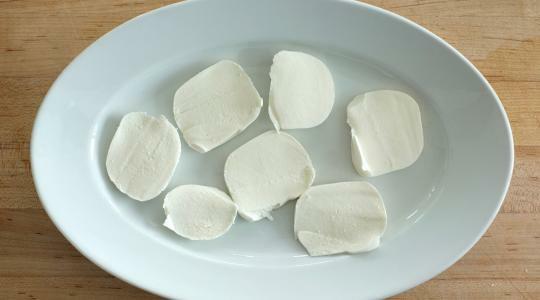 Slice the mozzarella into thin slices and lay on a serving plate or platter. 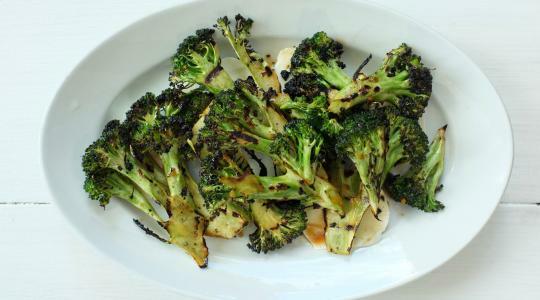 Arrange the broccoli over the mozzarella and drizzle any remaining vinaigrette over the top.